The nights are drawing in and the clocks have gone back so it might seem like we're heading into the depths of winter but a lot of couples are planning now for a spring wedding. Many people are unfamiliar with different types of flowers and the sorts of things that will be in season for a spring wedding. 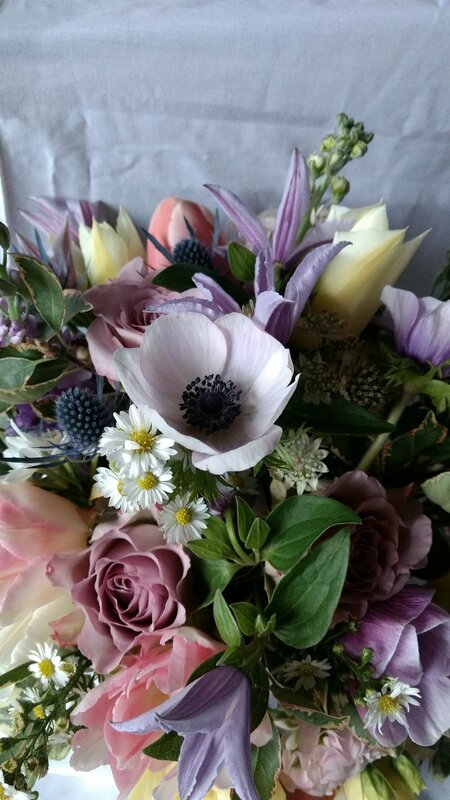 If you are keen to use British grown flowers this is especially important, but even ordering in flowers from Holland and further afield there are still limits on what is available from season to season. 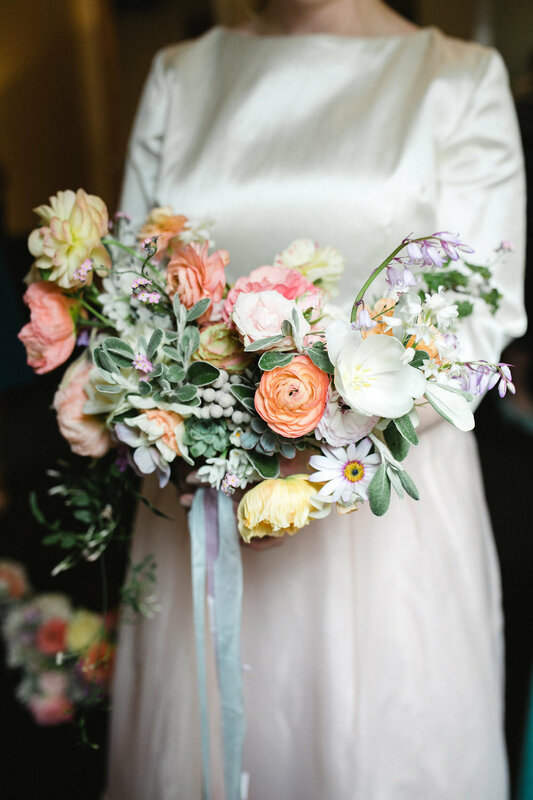 One of the elements that can give wedding flowers a wildflower look is to work with the seasons and the flowers and foliage that are available when you are getting married. Before March you might be struggling to get much from UK growers, especially in terms of deciduous foliage however much depends on the weather, sometimes we have an early spring, other times there is snow in May. Ranunculas – these open beautifully, come in many shade and are a great blousy alternative for peony lovers. Anemones – a beautiful winter / spring staple with a velvety dark centre, again available in many colours. Tulips- singles, doubles, parrots – you name it there are tulips of all sizes and shapes in spring and they are a dream to work with. One thing people don't always realise is that they are one of the few cut flowers that continue to grow after they are cut. They will turn towards the light so you might place them in a vase pointing one way and the next day they will have moved to face the light! Fratillary – This unearthly looking flower comes in a variety of shade but probably best known is the beautiful purple snakeshead fratillary with it's amazing checkerboard pattern. This works well as a dark contrast to whites and blushes or in with other rich colours. 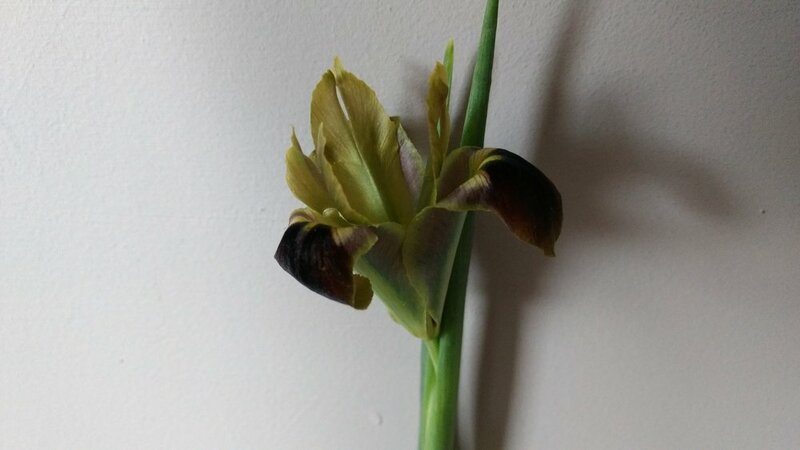 Iris – These don't just come in the traditional bluey purple, but they are a striking shape and can bring a pop of colour to an arrangement. Narcissus- daffodils aren't just for St David's day, you can get them in all sorts of sizes and shapes and with beautiful soft cream and peach tones as well as the traditional yellow. Paperwhites especially have a strong scent. Blossom – this is great for tall arrangements, arches, pedestals and even smaller pieces in some bouquets. It is so beautiful I think it often looks great just on its own or with a light bit of foliage. Poppies – These look great both in bud and once they are out and showing off their delicate blousy petals. Hyacinth –Both the more recognisable hyacinth and its smaller cousine the grape hyacinth or "muscari" make a great addition to spring arrangements, with the larger hyacinths offering a beautiful spring scent. Whether you are going for something fresh, bold and punchy or a romantic, ethereal look Spring flowers have plenty to offer. 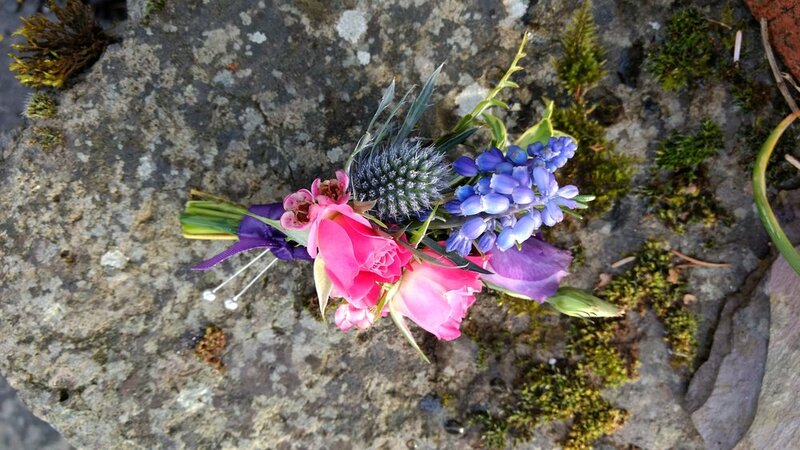 Take a look at the wedding flowers gallery or my Instagram feed to get some wildflower ideas for your wedding. 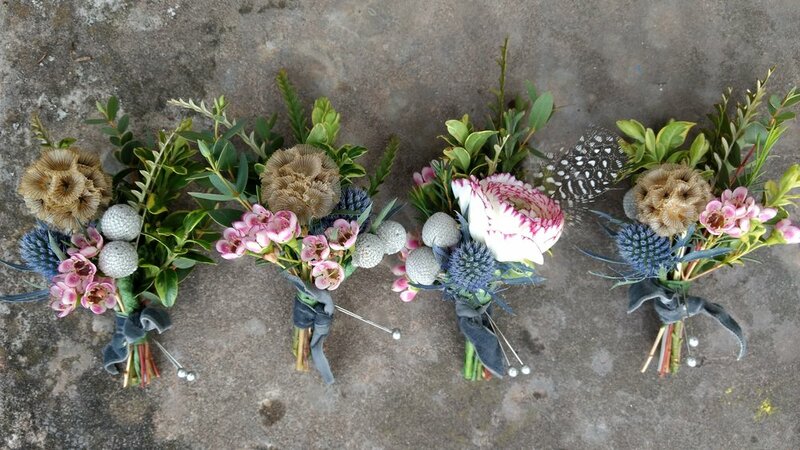 Or if you'd like to talk further about wedding flowers for next year get in touch. Thank you to The Gibsons and Fotomaki for sharing some of the images in this blog with me.